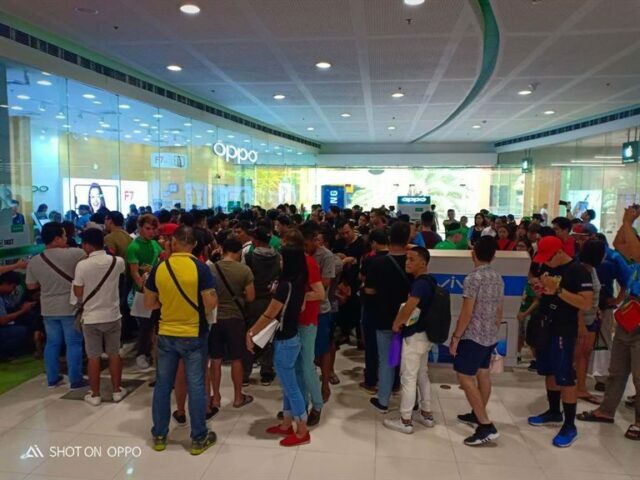 OPPO F7 Breaks Previous Sales Record, Over 37,000 Units Sold on Day One! 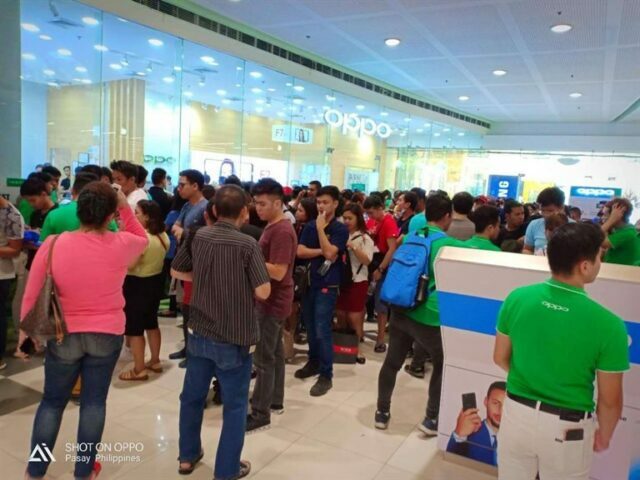 It’s once again a monumental day for OPPO, as stores filled up with customers eager to get their hands on its newest flagship in the Philippines, the OPPO F7. 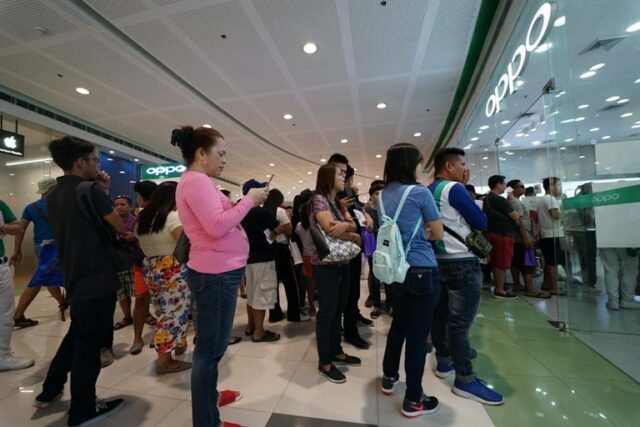 In fact, the response has been so overwhelming that a total of 37,687 units were sold just on its first day of sale. 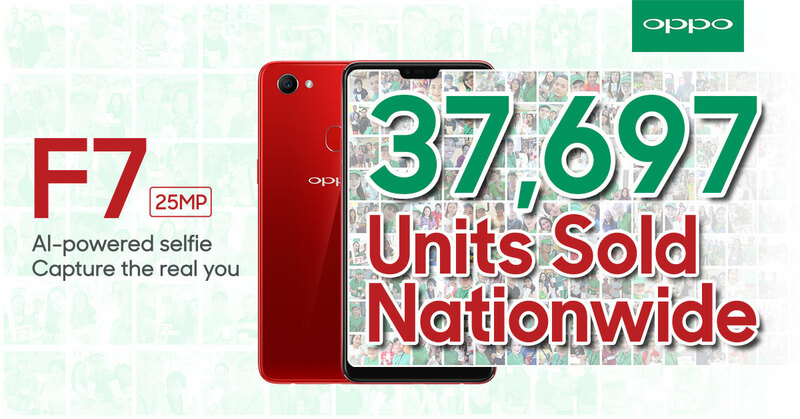 That also makes it the company’s best-selling smartphone in the country to date, beating the previous record set by the F5 at 33,000 units sold last October, 2017. 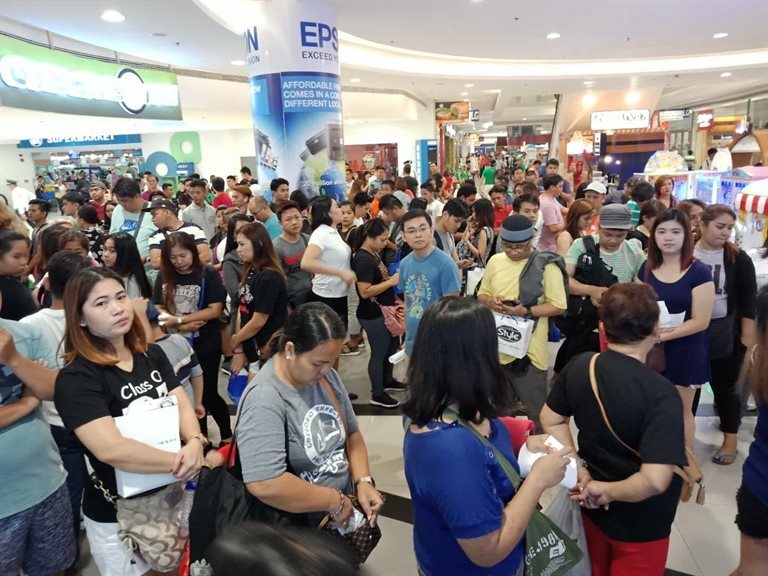 After a week of wait, customers were happy to finally received their units and freebies as a reward for being a part of the pre-order program. 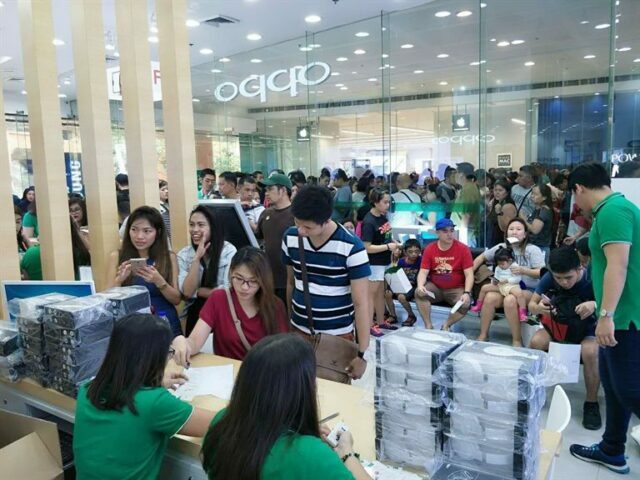 If you can remember, the pre-order program was available at over 5,000 OPPO stores nationwide. 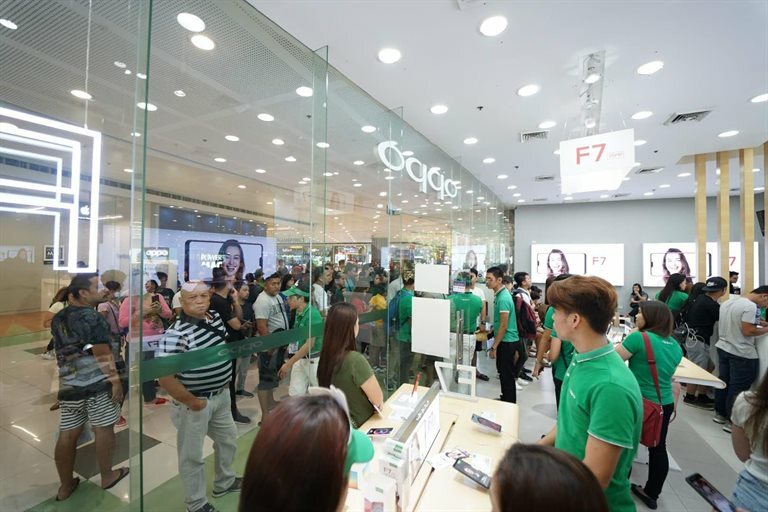 The OPPO F7 is the brand’s latest selfie expert, sporting an all-new design, and powered by the new Helio P60 SoC that infuses AI capabilities into almost every aspect of the device, from its scene detection and AI-assisted beautification for the camera, to its smart battery management. 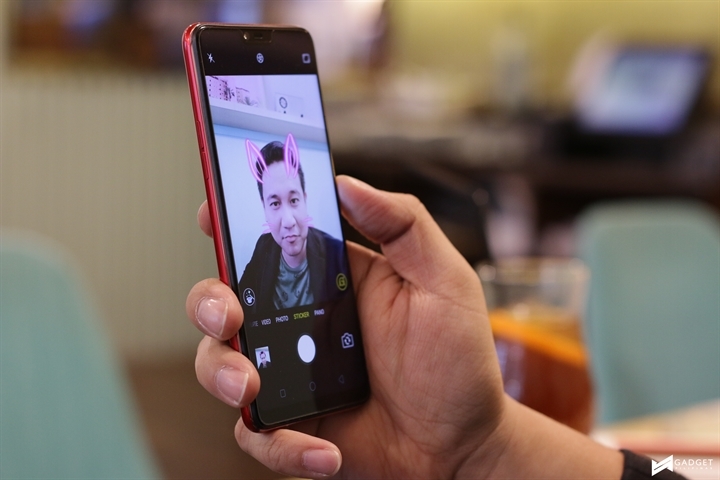 It’s also the first smartphone to feature a 25MP front facing camera that uses a Sony IMX576 sensor HDR for clear and detailed selfies. 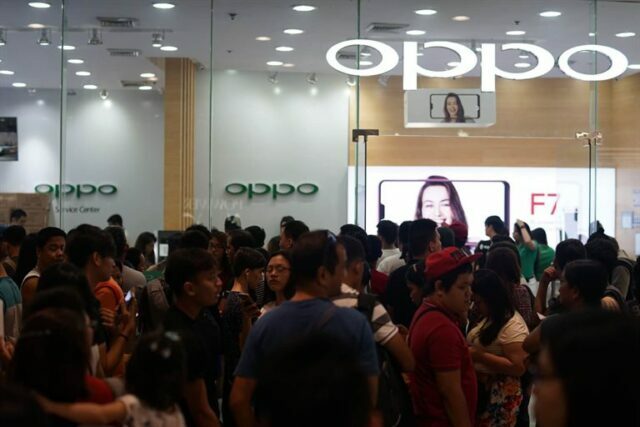 The new AI Beauty Technology 2.0 recognizes and analyzes 296 points on the subject’s face, and beautifies in 3 zones. The OPPO F7 has a 6.23-inch Super Full Screen Display with FHD+ resolution and a 19:9 aspect ratio. 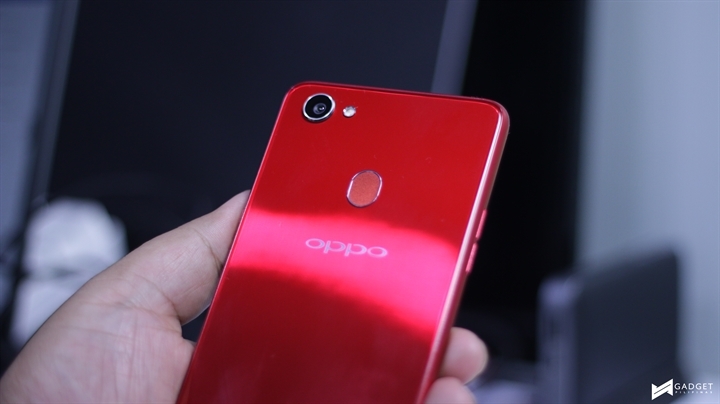 There’s 6GB of RAM and up to 128GB of storage expandable with a microSD card. 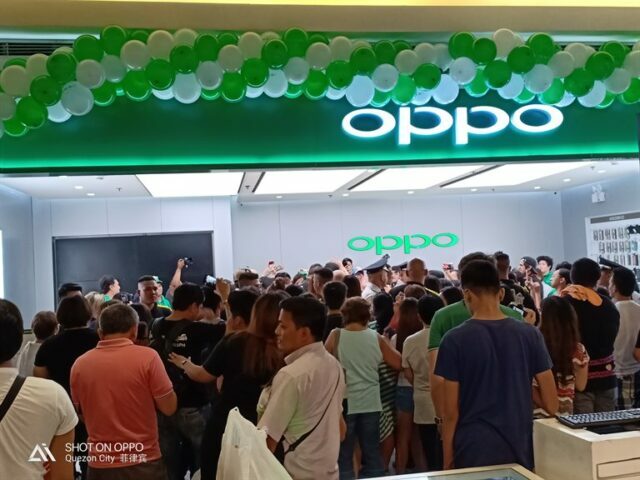 ColorOS 5.0 comes pre-installed with the device, and brings features such as full screen optimization, screen recording, AI-accelerated facial recognition, and more. 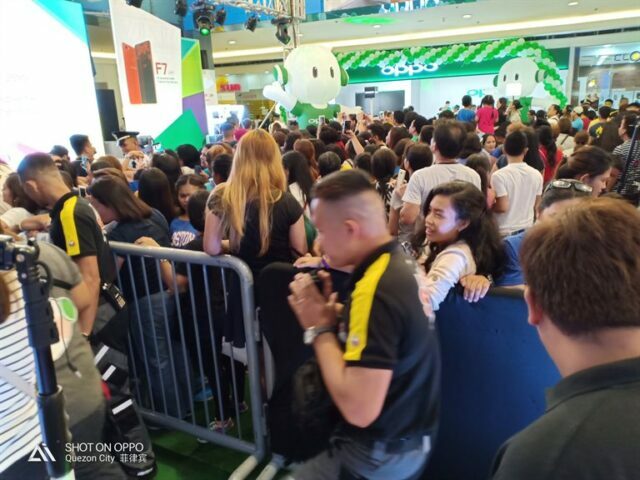 The OPPO F7 is available in Solar Red, Moonlight SIlver, and Diamond Black. 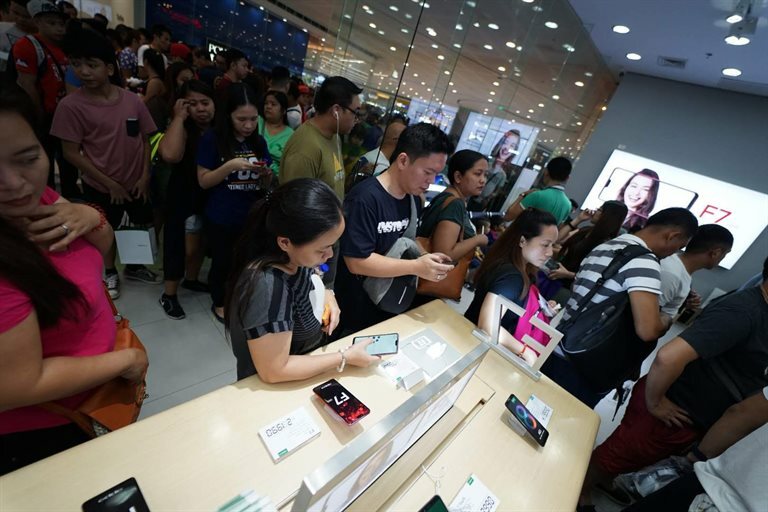 The 4GB/64GB variant retails for PhP17,990, while the 6GB/128GB variant is priced at PhP21,990. 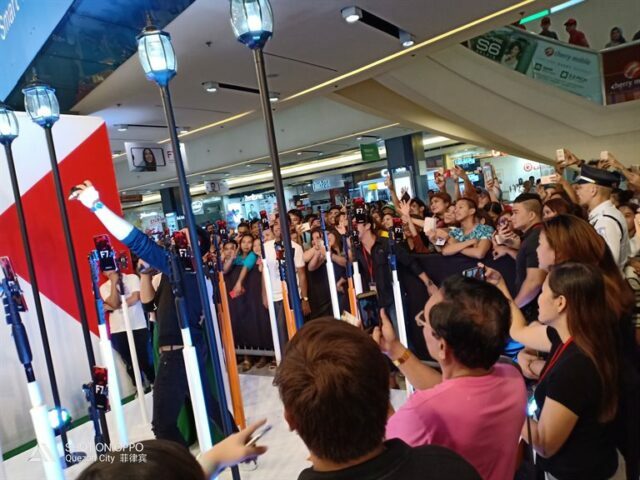 Catch the OPPO F7 “Capture the Real You” Roadshow at SM Megamall Fashion Hall on April 28 to 29 and get to experience the new selfie expert plus a day of fun and exciting activities. 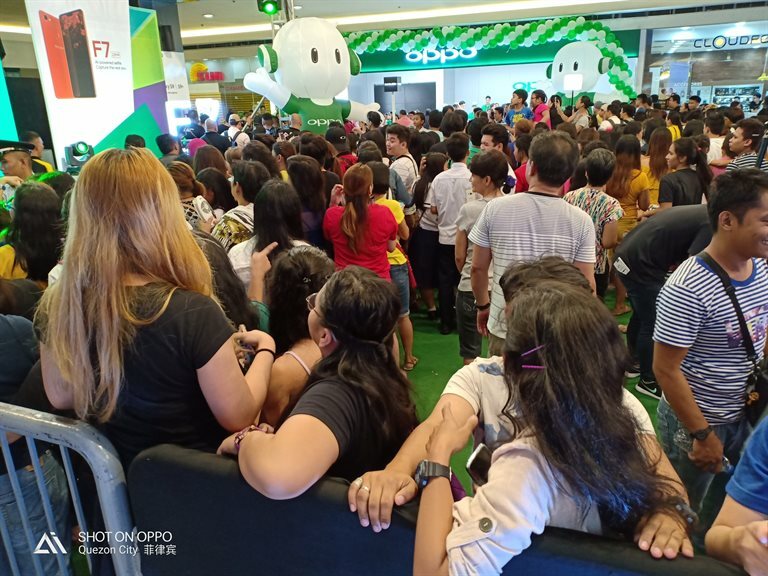 For more news about the F7, you may visit OPPO Philippines’ Official Facebook Page. 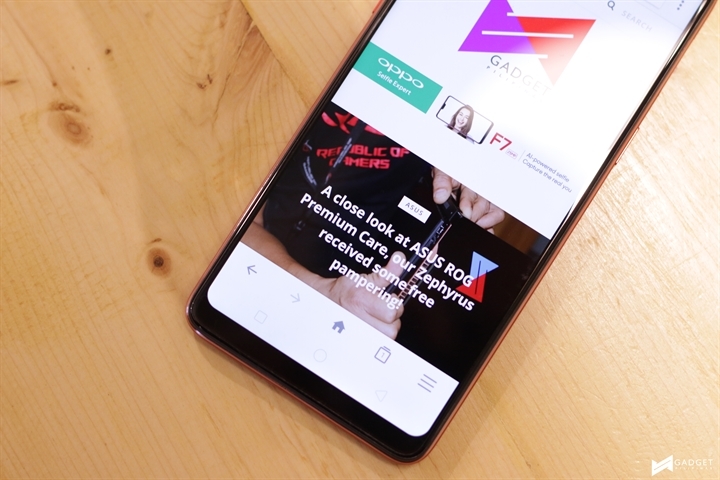 You may also check out our review.